Record any series of messages into the LITTLE Step by Step Communicator. Press its activation surface once to hear the first message. Press it again to hear the next message in the sequence, and so on. Two full minutes of recording time allow you to record as many messages as you need. Also availabe in the BIG Step by Step and the LITTLE Step by Step with levels versions. 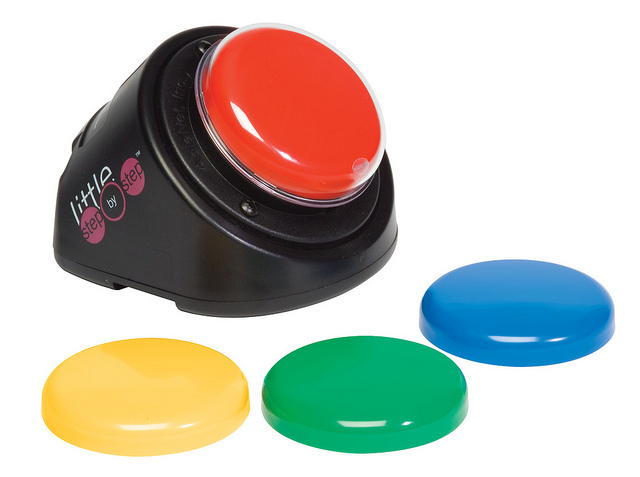 It can be used to control switch-adapted devices while the messages are played back. LITTLE Step by Step features an angled base and 6,4cm activation surface, the same one as Jelly Bean.